Being in love with Nirvana since 1991 I watched the documentary "Montage of Heck" (Brett Morgan 2015) on the life of Kurt Cobain immediately when it was screened in Amsterdam. The documentary starts with Cobain as a baby and ends wit his suicide in 1994. In between it paints an impressive intimate picture of Cobain this accompanied with Nirvana's music makes for an intense gripping watch. Rotten tomatoes credit the documentary with an eight out of ten rating . Some home videos of Cobain and Courtney Love are woven into the documentary. Cobain and Love being young parents with their newborn child, Cobain and Love quarreling etc. It kind of struck me to have such an intimate peek into Cobains family life. Not much is said about the impact of Cobains suicide on the people left behind. But watching Cobains mother, Love & Novoselic it obviously has been huge. Last year a Bavaria commercial aired on Dutch television with Cobain drinking beer on an island together with other popstart that have died (Lennon, Elvis, etc.). At that moment I just found it bad taste and did not think much about it. Now watching "Montage of heck" I just realised how bad taste it actually was. Please judge for yourself. The question is whether Cobains family could have banned the commercial. In the Netherlands portrait rights (in the US also known as "publicity" and/or "personality" rights) are dealt with in the Dutch Copyright Act, article 21. If a portrait is made without having been commissioned by or on behalf of the persons portrayed, the copyright owner shall not be allowed to communicate it to the public, in so far as the person portrayed or, after his death, his relatives have a reasonable interest in opposing its communication to the public. Please note that in Dutch case law (Katja Schuurman vs. Yellow Bear) it has been decided that the person portrayed (and his relatives) may also act against "look a likes". There is in my opinion no doubt that the relatives of Cobain would have had a reasonable interest in opposing to the use of Cobains portrait in the Bavaria commercial. According to Dutch law a reason to oppose can be that the person portrayed could have asked compensation for the use of its portrait (which Cobain certainly have could given his popularity). Another valid reason for opposing would -according to Dutch law- be that the person portrayed has been made a fool of. Each of the aforementioned reasons alone would already be enough to have the commercial banned. Article 21 of the Dutch Copyright Act may be invoked by anyone (so not only by Dutch people). However, a Dutch Court will need to have jurisdiction, which it would have had in case of the Bavaria commercial as this commercial was aired in the Netherlands. Adidas lost their case against the OHIM with regards the registration of a two stripe trademark for shoes by Shoe Branding Europe BVBA two times, but now –finally- triumphed at the General Court. 34 In that respect, it should be pointed out that the public’s perception that a sign is a decoration cannot constitute a restriction on the protection conferred by Article 5(1)(b) of the Directive when, despite its decorative nature, that sign is so similar to the registered trade mark that the relevant public is likely to perceive that the goods come from the same undertaking or, as the case may be, from economically-linked undertakings. 35 In the present case, it must therefore be determined whether the average consumer, when he sees sports or leisure garments featuring stripe motifs in the same places and with the same characteristics as the stripes logo registered by adidas, except for the fact that they consist of two rather than three stripes, may be mistaken as to the origin of those goods, believing that they are marketed by adidas AG, adidas Benelux BV or an undertaking linked economically to those undertakings. The General Court takes the view that Shoe Branding Europe BVBA infringes Article 8(1)(b) and Article 8 (5) of Regulation No 207/2009. Personally I am so familiar with the Adidas brand that I immediately recognize the difference between Adidas (three stripes) and no Adidas. Therefore, I don’t think that there exist a link whatsoever between a brand with two or four stripes and Adidas. The General Court holds a different view. Important in the reasoning of the General Court is that –according to the General Court- the consumers of sport shoes do not demonstrate a high degree of attention buying sport shoes. Given the already existing case law the decision of the General Court is understandable. However, the question remains whether the decision does justice to reality as – as far as I know- any six year old kid in Europe can tell the difference between an Adidas shoe and a non Adidas shoe. 32 It must be stated that the Board of Appeal’s finding that those differences will not pass unnoticed by the consumer who pays attention to the details of sports shoes is, as the applicant claims, at odds with the fact that the consumer of those products does not demonstrate a high degree of attention. 33 In that regard, it should be recalled that, since sports shoes are everyday consumer goods, the relevant public is made of the average consumer, who is reasonably well informed and reasonably observant and circumspect, whose degree of attention must be regarded as average when purchasing them. It should also be recalled that the average consumer normally perceives a mark as a whole and does not proceed to analyse its various details (judgment in OHIM v Shaker, cited in paragraph 20 above, EU:C:2007:333, paragraph 35). 34 It must be observed that the presence of stripes on the outside of the shoe will be easily and immediately noticed by the average consumer as an element of similarity between the signs at issue. However, the differences in positioning and inclination are noticeable only if the consumer undertakes a closer inspection. 35 A certain visual similarity between the signs at issue, therefore, stems from the position of the stripes on the outside of the shoes, which cannot be called into question by the differences in positioning and inclination. 36 With regard, in the second place, to the configuration of the stripes, it should be stated that, in the part of the contested decision relating to the inherent distinctiveness of the earlier marks, the Board of Appeal took the view that, since the stripes were banal decorative elements, ‘only the particular configuration and position of the stripes [could] be seen as an indication of origin’. However, it then considered that, for the comparison of the signs at issue, only the position and number of the stripes were highly relevant. 37 The Board of Appeal did not explain why the other elements of the stripe configuration, such as their shape (curved or straight), their size (length and width) and their colour, did not constitute elements relevant to the comparison of the signs at issue. 38 The Board of Appeal did find that the signs at issue shared straight stripes contrasting with the background. Nevertheless, it was wrong not to consider those characteristics to be relevant to the comparison of the signs at issue and to rely solely on the differences in the number and position of the stripes on the shoe to conclude that the signs were dissimilar overall. 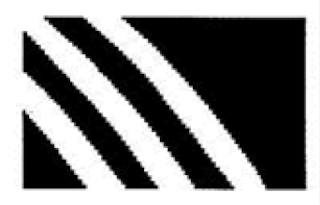 39 As the applicant observes, the signs at issue consist of parallel stripes, equidistant and of the same width, which contrast with the background. Those characteristics of the stripes of the marks at issue are not elements that could be excluded from an assessment of those marks as a whole. Thus, with regard to their configuration, the signs at issue show similarities which should have been taken into account by the Board of Appeal in its global assessment of visual similarity. 40 As regards, in the third place, the number of stripes, the Board of Appeal attributed too much importance to whether there were two or three stripes on the outside of the shoe. That difference between two or three stripes cannot be regarded as important for the average consumer with an average level of attention. 41 Thus, the difference between two and three stripes placed on a shoe is not sufficient to affect the similarities arising from the configuration of the signs at issue and from their position on the outside of the shoe. 42 In that regard, it should be noted that the Court of Justice took the view, in the judgment in adidas and adidas Benelux, cited in paragraph 28 above (EU:C:2008:217, paragraph 35), that it had to be assessed whether the average consumer, when he sees sports or leisure garments featuring stripe motifs in the same places and with the same characteristics as the stripes logo registered by adidas, except for the fact that they consist of two rather than three stripes, may be mistaken as to the origin of those goods, believing that they are marketed by adidas AG, adidas Benelux BV or an undertaking linked economically to those undertakings. 43 In the light of the foregoing, taking into account the elements clearly common to the marks at issue — parallel sloping stripes, equidistant, of the same width, contrasting with the base colour of the shoe, placed on the outside of the shoe — it must be considered that the overall impression produced by those marks is, to a certain extent, similar and that the Board of Appeal was wrong to conclude that the marks at issue were visually dissimilar. 44 The arguments advanced by OHIM and the intervener in support of the Board of Appeal’s conclusion cannot succeed. First, the elements on which they rely, seeking to demonstrate that the marks at issue differ on account of the different colour and length of the stripes, are not relevant in so far as they are not mentioned by the Board of Appeal in the contested decision. Those new elements cannot supplement the reasoning of the contested decision and have no influence on the assessment of its validity. Second, with regard to the argument concerning the difference in length of the stripes arising from their difference in inclination, it should be pointed out that that minor difference between the marks at issue will not be noticed by the consumer with an average degree of attention and will not influence the overall impression those marks produce on account of the presence of wide sloping stripes on the outside of the shoe. 45 Last, it should be noted that it is precisely because of the lack of any similarity between the signs at issue that the Board of Appeal found that there was no likelihood of confusion. 46 The overall assessment of the likelihood of confusion entails certain interdependence between the factors taken into account and, in particular, the similarity between the trade marks and between the goods or services covered. Accordingly, a lesser degree of similarity between those goods or services may be offset by a greater degree of similarity between the marks, and vice versa (judgments of 29 September 1998 in Canon, C‑39/97, ECR, EU:C:1998:442, paragraph 17, and of 14 December 2006 in Mast-Jägermeister v OHIM — Licorera Zacapaneca (VENADO with frame and others), T‑81/03, T‑82/03 and T‑103/03, ECR, EU:T:2006:397, paragraph 74). 47 In addition, it should be noted that the Board of Appeal considered the earlier marks to enjoy a high reputation in the sports shoes and clothing sector and that that reputation extended to a three-stripe figurative device. It took the view that, where those three stripes were applied to sports shoes, that element consisted of three parallel stripes of the same size and width contrasting with the base colour of the shoe and positioned on the footwear upper in the area between the laces and the sole. 48 In that regard, it should be recalled that, the more distinctive the earlier mark, the greater will be the likelihood of confusion. Thus, marks with a highly distinctive character, either per se or because of their recognition on the market, enjoy broader protection than marks with less distinctive character. The distinctive character of the earlier trade mark and, in particular, its reputation, must therefore be taken into account when assessing whether there exists a likelihood of confusion (judgments of 17 April 2008 in Ferrero Deutschland v OHIM, C‑108/07 P, EU:C:2008:234, paragraphs 32 and 33 and the case-law cited, and of 28 October 2010 in Farmeco v OHIM — Allergan (BOTUMAX), T‑131/09, EU:T:2010:458, paragraph 67). 49 Therefore, the errors the Board of Appeal made in its assessment of the similarity of the signs at issue are liable to have consequences on the validity of its assessment of the likelihood of confusion. 50 Consequently, the first plea, alleging infringement of Article 8(1)(b) of Regulation No 207/2009, must be upheld, without it being necessary to examine the assessment undertaken by the Board of Appeal of the similarity between the mark applied for and the other earlier marks relied on in support of the opposition, or the merits of the other complaints raised by the applicant in the context of the present plea. 51 Furthermore, in this case, it is also on the basis of lack of any similarity between the signs at issue that the Board of Appeal considered one of the conditions referred to in Article 8(5) of Regulation No 207/2009, that relating to the identity or similarity of the signs at issue, not to have been met, and rejected the opposition in so far as it was based on that provision. 52 It should be recalled that the Court of Justice has consistently held that the degree of similarity required under Article 8(1)(b) of Regulation No 207/2009, on the one hand, and Article 8(5) of that regulation, on the other, is different. Whereas the implementation of the protection provided for under the first of those provisions is conditional upon a finding of such a degree of similarity between the marks at issue that there exists a likelihood of confusion between them on the part of the relevant section of the public, the existence of such a likelihood is not necessary for the protection conferred by the latter provision. Accordingly, the types of injury referred to in Article 8(5) of Regulation No 207/2009 may be the consequence of a lesser degree of similarity between the earlier and later marks, provided that it is sufficient for the relevant section of the public to make a connection between those marks, that is to say, to establish a link between them (judgments of 24 March 2011 in Ferrero v OHIM, C‑552/09 P, ECR, EU:C:2011:177, paragraph 53 and the case-law cited, and of 20 November 2014 in Intra-Presse v OHIM, C‑581/13 P and C‑582/13 P, EU:C:2014:2387, paragraph 72). 53 It follows that the Board of Appeal’s erroneous assessment regarding the similarity of the signs at issue influenced all the more its analysis of the ground based on Article 8(5) of Regulation No 207/2009, on which the opposition was also based. 54 Accordingly, the second plea, alleging infringement of Article 8(5) of Regulation No 207/2009, must also be upheld and, consequently, the contested decision must be annulled, without it being necessary to rule on the third plea. 1 On 1 July 2009, the intervener, Shoe Branding Europe BVBA, filed an application for registration of a Community trade mark with the Office for Harmonisation in the Internal Market (Trade Marks and Designs) (OHIM) pursuant to Council Regulation (EC) No 207/2009 of 26 February 2009 on the Community trade mark (OJ 2009 L 78, p. 1). 4 The goods for which registration was sought are in Class 25 of the Nice Agreement concerning the International Classification of Goods and Services for the Purpose of the Registration of Marks of 15 June 1957, as revised and amended, and correspond to the description ‘Footwear’. 5 The Community trade mark application was published in Community Trade Marks Bulletin No 107/2010 of 14 June 2010. 6 On 13 September 2010, the applicant, adidas AG, filed a notice of opposition, pursuant to Article 41 of Regulation No 207/2009, to registration of the mark applied for in respect of all the goods referred to in the application for registration. 8 The grounds relied on in support of the opposition were those referred to in Article 8(1)(b) and Article 8(4) and (5) of Regulation No 207/2009. 9 By decision of 22 May 2012, the Opposition Division rejected the opposition. 10 On 2 July 2012, the applicant filed an appeal with OHIM, pursuant to Articles 58 to 64 of Regulation No 207/2009, against the Opposition Division’s decision. 11 By decision of 28 November 2013 (‘the contested decision’), the Second Board of Appeal of OHIM dismissed the appeal. First, the Board of Appeal rejected the opposition based on Article 8(1)(b) of Regulation No 207/2009. It took the view that the differences in the number of stripes and their respective positions on the shoe were sufficient to find that the signs at issue were, overall, dissimilar. It concluded that, even taking into account the reputation of some of the earlier marks, those differences were sufficient to preclude any likelihood of confusion in the mind of the reasonably well-informed and reasonably observant and circumspect public, even for identical goods and independently of the fact that the earlier signs, taking their extensive use into consideration, could be considered to have, at least, a normal degree of distinctiveness. Second, the Board of Appeal rejected the opposition filed pursuant to Article 8(5) of Regulation No 207/2009, on the ground that the relevant section of the public was unlikely to establish a link between the marks at issue, considering that their differences in the number of stripes and their positioning were determinant, whatever the reputation of the earlier marks may have been. Third, the Board of Appeal rejected the opposition filed pursuant to Article 8(4) of Regulation No 207/2009. It took the view that the applicant had failed to substantiate its ownership of a German non-registered mark consisting of three horizontal parallel equidistant stripes applied to ‘footwear’, the applicant’s right to the non-registered mark being limited to pieces of sports clothing, that there was no likelihood of confusion and that, in the light of the differences between the signs, the consumer, upon seeing the mark applied for being used on footwear, would not think of that earlier mark, despite its reputation for sports clothing. 14 In support of its action, the applicant relies on three pleas in law, alleging, first, infringement of Article 8(1)(b) of Regulation No 207/2009, second, infringement of Article 8(5) of Regulation No 207/2009 and, third, infringement of Article 8(4) of Regulation No 207/2009. 15 In support of its first plea, alleging infringement of Article 8(1)(b) of Regulation No 207/2009, the applicant argues that the Board of Appeal made several errors of assessment concerning, first, the nature of earlier German figurative mark number 897134 and that of international mark number 391692, second, the distinctiveness of the earlier marks, third, the scope of protection of the earlier marks and, fourth, the similarity of the marks at issue. It maintains that the Board of Appeal therefore made an error in assessing the likelihood of confusion, within the meaning of Article 8(1)(b) of Regulation No 207/2009. 16 Article 8(1)(b) of Regulation No 207/2009 provides that, upon opposition by the proprietor of an earlier trade mark, the trade mark applied for must not be registered if, because of its identity with, or similarity to, an earlier trade mark and because of the identity or similarity of the goods or services covered by the trade marks, there exists a likelihood of confusion on the part of the public in the territory in which the earlier trade mark is protected. The likelihood of confusion includes the likelihood of association with the earlier trade mark. Moreover, according to Article 8(2)(a)(ii) of Regulation No 207/2009, ‘earlier trade marks’ refer to trade marks registered in a Member State with a date of application for registration which is earlier than the date of application for registration of the Community trade mark. 17 According to settled case-law, the risk that the public may believe that the goods or services in question come from the same undertaking or from economically-linked undertakings constitutes a likelihood of confusion. According to that same line of case-law, the likelihood of confusion must be assessed globally according to the relevant public’s perception of the signs and the goods or services in question, taking into account all factors relevant to the circumstances of the case, in particular the interdependence between the similarity of the signs and that of the goods or services designated (see judgment of 9 July 2003 in Laboratorios RTB v OHIM — Giorgio Beverley Hills (GIORGIO BEVERLEY HILLS), T‑162/01, ECR, EU:T:2003:199, paragraphs 30 to 33 and the case-law cited). 18 In addition, account should be taken of the fact that the average consumer only rarely has the chance to make a direct comparison between the different marks and must place his trust in the imperfect picture of them that he has kept in his mind (judgment of 22 June 1999 in Lloyd Schuhfabrik Meyer, C‑342/97, ECR, EU:C:1999:323, paragraph 26). 19 It also follows from the case-law that two marks are similar when, from the point of view of the relevant public, they are at least partially identical as regards one or more relevant aspects (judgments of 23 October 2002 in Matratzen Concord v OHIM — Hukla Germany (MATRATZEN), T‑6/01, ECR, EU:T:2002:261, paragraph 30, and of 10 December 2008 in MIP Metro v OHIM — Metronia (METRONIA), T‑290/07, EU:T:2008:562, paragraph 41). 20 The global assessment of the likelihood of confusion, in relation to the visual, aural or conceptual similarity of the signs at issue, must be based on the overall impression given by the signs, bearing in mind, in particular, their distinctive and dominant components. The perception of the marks by the average consumer of the goods or services in question plays a decisive role in the global assessment of that likelihood of confusion. In this regard, the average consumer normally perceives a mark as a whole and does not proceed to analyse its various details (see judgment of 12 June 2007 in OHIM v Shaker, C‑334/05 P, ECR, EU:C:2007:333, paragraph 35 and the case-law cited). 21 In the present case, the comparison made by the Board of Appeal between the mark applied for and the earlier marks representing a shoe (earlier Community trade mark number 3517646 and earlier German trade marks numbers 944624, 944623 and 39950559; ‘the earlier marks’) must be examined. 22 The applicant does not dispute the Board of Appeal’s finding that the relevant public is the average consumer in the EU or Germany, reasonably well-informed and reasonably observant and circumspect, or the finding that ‘footwear’ covered by the mark applied for and the goods covered by the earlier marks are identical. 23 As regards the marks at issue, it should be noted that the mark applied for is a position mark consisting of two parallel stripes positioned on the side of the shoe, which run from the edge of the sole and slope backwards to the middle of the instep of the shoe. The earlier marks are figurative marks made up of three parallel stripes of the same width positioned on the footwear upper in the area between the laces and the sole. 24 The Board of Appeal took the view that, since the marks at issue were purely figurative and abstract in their appearance, a phonetic comparison could not be made. It considered that, conceptually, neither of the marks at issue had a discernible meaning. 25 The applicant merely disputes the Board of Appeal’s assessment concerning the visual similarity of the signs at issue. 26 In that regard, it should be observed that the Board of Appeal took the view that the only similarities between the mark applied for and the earlier marks laid in the fact that they shared straight stripes contrasting with the base colour of the shoe and placed on the side of the shoe. It considered that the position and number of the stripes were highly relevant considering that stripes were very banal elements applied on shoes and clothing and that the differences mainly laid in the number of stripes and their positioning. 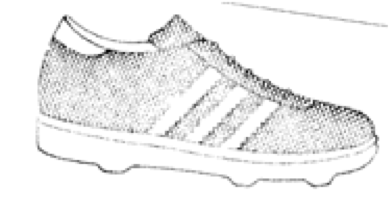 In that regard, it explained that, in the mark applied for, the stripes sloped slightly from the front of the shoe to the back and were positioned in the area of the instep of the shoe, whereas, in the earlier marks, the three stripes sloped slightly from the back of the shoe to the front and were positioned in the area between the footwear’s laces and sole. In the Board of Appeal’s view, those differences would not pass unnoticed especially because consumers are accustomed to seeing sports shoes with different geometric designs and because they pay attention to the details of sports shoes they try on before buying. It concluded that the differences resulting from the number of stripes and their respective position on the shoe were sufficient to conclude that the signs were dissimilar overall. 27 The applicant claims that the Board of Appeal wrongly found that the mark applied for and the earlier marks were visually dissimilar. It maintains, inter alia, that the Board of Appeal focused on slight differences between the marks and overlooked the fact that the earlier marks share many common features with the mark applied for, namely, that the signs consist of parallel stripes, contrasting with the base colour of the shoe, all with the same width and spacing, that the stripes are positioned on the side of the shoe, that they are angled and run from the sole to the upper of the shoe. The only dissimilarity lies in the number of stripes: two for the mark applied for and three for the earlier marks. The marks at issue therefore have more common elements than differences. 28 First of all, it should be pointed out that the public’s perception that a sign is a decoration cannot constitute a restriction of the protection conferred by Article 8(1)(b) of Regulation No 207/2009 when, despite its decorative nature, that sign is so similar to the registered trade mark that the relevant public is likely to believe that the goods come from the same undertaking or, as the case may be, from economically-linked undertakings (see, by analogy, judgment of 10 April 2008 in adidas and adidas Benelux, C‑102/07, ECR, EU:C:2008:217, paragraph 34). 29 It should be recalled that, in the present case, the Board of Appeal considered that the number of stripes on the shoe and their position were highly relevant to the comparison of the signs at issue and, taking the view that those elements were different in this case, it concluded that the signs at issue were dissimilar overall. 30 With regard, in the first place, to the position of the stripes on the shoes, the Board of Appeal first found, correctly, that the fact that the marks at issue both had stripes placed on the side of the shoe constituted an element of similarity. However, the Board of Appeal subsequently took account of their more precise position on the outside of the shoe, noting that, in the mark applied for, the stripes were positioned in the instep area of the shoe and that, in the earlier marks, they were positioned in the area between the laces and the sole of the shoe. It also stated that the stripes sloped in an opposite direction to those of the mark at issue. 31 In the Board of Appeal’s view, those differences in the stripes’ positioning and inclination on the shoes will not pass unnoticed, because consumers are accustomed to seeing geometric designs on shoes and pay attention to the details of those products.